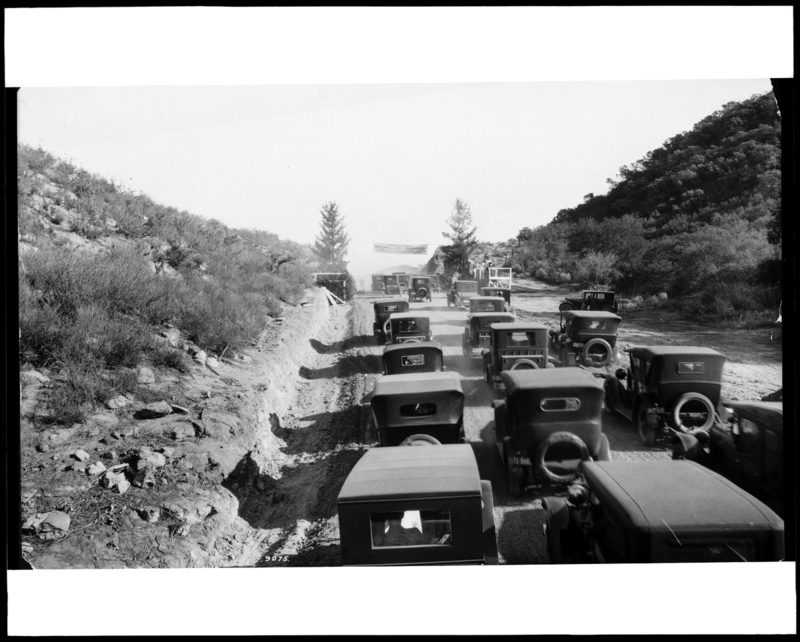 California’s photographic history begins when California does. That is, when the state of California does (the land, its native people and their colonizers existed long before 1850, known by Ohlone and then Spanish names). But it was the Gold Rush, and the arrival of hundreds of thousands of prospectors—along with their diseases and dreams—that carried photographers west. Boomtowns: How Photography Shaped Los Angeles and San Francisco, the latest exhibition at the California Historical Society, opens with a daguerreotype panorama from 1851 and closes with a gelatin silver print from 1949. 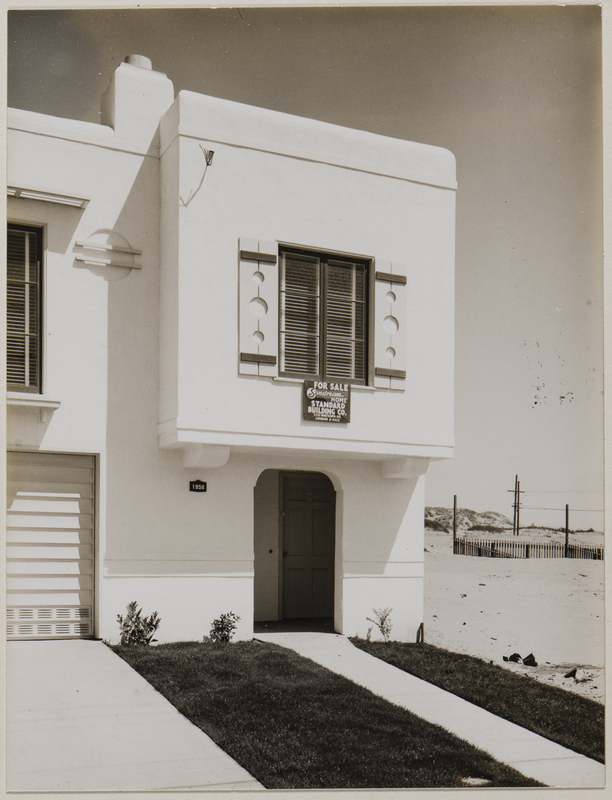 Over that near-century, curator Erin Garcia groups images from California’s rival metropolises, charting the advances and setbacks in the growth of each city—and the key role photography played in selling ideas of these places to the rest of the country, as well as selling actual, physical land. There are few people in the photographs of Boomtowns to answer that first question—the exhibition instead focuses on images of increasingly sturdy-looking buildings, roads and (especially in LA) highways, and the subsumption of the landscape into all of the above. More frequently, people appear in the margins, in descriptions of how these images were used. “California wants people like you,” reads the back of a 1911 photo postcard printed by Sunset magazine, advertising sunny Southern California living and cheap train fare to (white) recipients seeking to escape the cold, crowded and ethnically diverse cities of the East. When humans do wander into the frame, they’re often under scrutiny, the objects of seemingly dispassionate study, like in Arnold Genthe’s pre-1906 earthquake and fire images of San Francisco’s Chinatown, or in German graduate student Anton Wagner’s 1932 photographs for his dissertation on life in Los Angeles. As decades pass within Boomtowns, imaging technology also advances, though it’s hard to top Carleton Watkins’ mammoth plates, which appear early in the exhibition. In his albumen prints taken from the top of Nob Hill in 1864, a panorama of 19th-century San Francisco feels as immediate and real as any image one might see from the same vantage today—a product of their size (each of the five images measures 14.5-by-22.5 inches) and Watkins’ enormous skill. While other prints allow viewers to look at them, Watkins’ mammoth plates invite viewers into them. Reviewing each city's narrative arc, as told through images plucked from the California Historical Society's massive photography collection, the San Francisco half of Boomtowns emerges as the more compelling one. It's a story of rapid population growth (in the first two years of the Gold Rush, San Francisco jumped from 1,000 to 25,000 people), unimaginable destruction, a stoic rebuilding process, demographic shifts created by Japanese-American internment and the region's shipbuilding industry, and expansion unto the geographic limits of the peninsula. Los Angeles was several decades behind the curve; it didn’t truly boom until railroads arrived in the 1870s and 1880s. It took another few decades for the city to figure out resources like water, fuel, a deep-water harbor and paved sidewalks and streets. And then it just grew—in strange and fantastical ways informed by a mishmash of Spanish Colonial Revival, Mission Revival and Streamline Moderne architectural styles. It presented itself—through photographs—as an oasis of opportunity, making sure to crop out the city’s messy industrial zones and the realities of racial segregation. But regardless of where you stand in the age-old rivalry between NorCal and SoCal's premiere cities, Boomtowns presents its own compelling narrative. 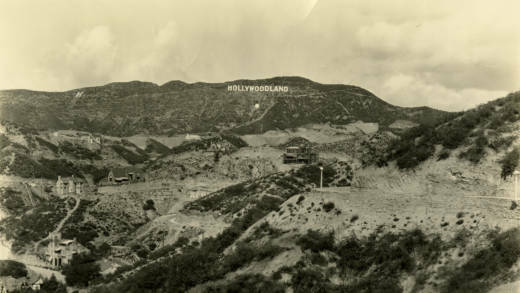 Both San Francisco and Los Angeles, in the promotion of some images and the absence of others, clearly answer the questions of "who they're for" and "who makes those decisions"—the people who created sundown towns, redlined neighborhoods and wanted the views from their hilltop mansions preserved in perpetuity. Which prompts a follow-up question: "Which images emerge to tell the stories of San Francisco and Los Angeles today?" 'Boomtowns: How Photography Shaped Los Angeles and San Francisco' is on view at the California Historical Society in San Francisco through March 10, 2019. Details here.